There’s no way round it - looking after yourself will always involve a bit of work. The easiest way to do that is to change your bad habits for healthy ones. 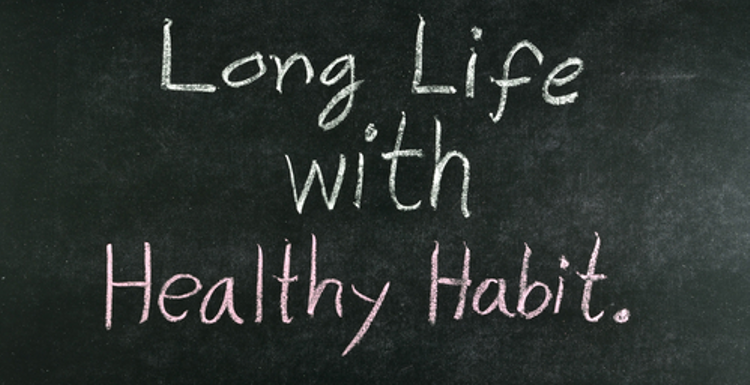 Here are seven good habits that should fit perfectly into a healthy way of life. A diet that works ‘every time’ is a diet that fails every time. The only way for long-term weight control to work is to have the habit of eating the right amount of the right foods. We all need to get moving. How we do it really doesn’t matter as long as it gets done. So choose a form of exercise (or even an active job) that you enjoy. That way exercise will simply happen! We all need to face up to our choices. No-one but us is in charge of what we eat, how much exercise we get or what we choose to put into our bodies. It is never healthy to feel guilty about eating. Nor it is healthy to fall for the idea that food is ‘naughty’ or ‘sinful’. No food is bad for you in itself. The habit you need is eating a good mix of tasty food in the right proportions. Regrettably the diet and food industries cannot always be trusted. A classic example is the ‘healthy’ commercial smoothies. They can actually contain more sugar and calories per gram than a well-known fizzy drink! Healthy people read labels and know not to be swayed by gimmickry. It’s a mad world, my masters – but we have the choice to slow down that madness. Operate on ‘one thing at a time’ – especially when it comes to food and sleep. We all hit bad times, and have to work through them. For the everyday times, it is a matter of choosing your attitude. Being miserable about the inevitable won’t make it better. Try an everyday approach to everyday happiness – there’s nothing to lose! Exercise should be for fun, but unfortunately it doesn't always feel like it when you're tired, so sometimes I have to treat it as a chore. I completely agree with the mindful, be with 'one thing at a time' theory, but it's so remember to do. Hang on, I have to be positive - I will remember to be mindful!